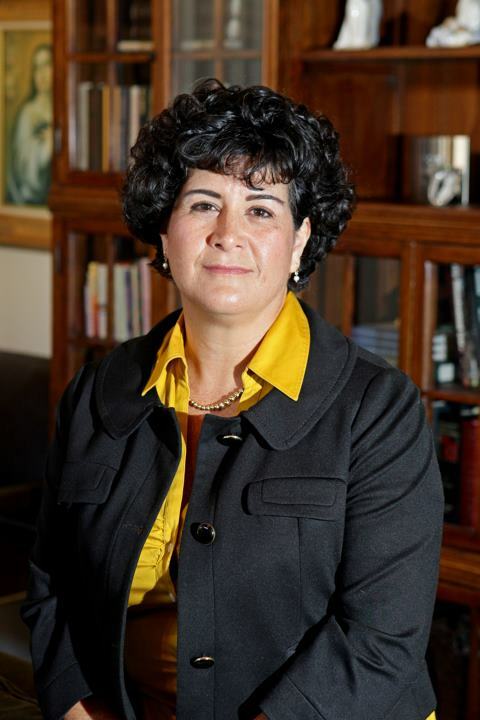 Yesterday I talked with Judge Monica Zamora of the Second Judicial District Court, who is the Democratic nominee for this year’s election to the New Mexico Court of Appeals. You can find her campaign website here. Q. I’m here with District Court Judge Monica Zamora, the Democratic candidate for the New Mexico Court of Appeals. Thank you for being here today. A. Thank you for having me. Q. Tell us about your family and background before going to law school. A. Okay, I was born and raised in Santa Fe, New Mexico, when Santa Fe was still small. I went to school at Gonzales Elementary, junior high at Harrington Junior High, which my kids get a big kick out of, because the school is no longer standing. I can’t remember if they eventually made it into a park or a parking lot. Which is great, because now [my kids think] I’m 100 years old instead of my real age. I attended St. Michael’s High School, I graduated in 1979. If there’s anything I can take away from growing up, it was the sense of community that my parents had instilled in all of us – there’s five children – we were involved in, the boys were involved in Boy Scouts, I was involved in Girl Scouts, we did a lot of community service work. My mom and a group of her friends were responsible for cleaning the church, and helping the parish priest with various activities. We volunteered for church activities. So there was a lot of community involvement. When, after graduating from St. Michael’s High School, I went on to Fort Lewis College up in Durango, and I graduated from there in 1982. A. My major was business administration. I’d always been fascinated with business, and then I minored in French. Q. Why did you decide to attend law school, and where did you go? A. Actually, it was a process. I was always fascinated by the work that my father did, who was a trial attorney, and his practice consisted primarily of personal injury, wrongful death type cases. And he was always very creative in his presentations, and he would practice them at home, what his opening statements were going to be, what his closing statements were going to be. So I was always fascinated by the law, but not quite sure that I wanted to do it. And so in going to Fort Lewis, I actually went year-round, and ended up graduating in three years. So I took a year where I went to work in Washington, D.C. for a government defense contract firm, to see “do I want to continue with an MBA, or do I want to go to law school?” And in that year’s time frame, working with general counsel in this corporation, I decided that I wanted to come back to New Mexico and go to law school. And there was also a little bit of influence from my dad. Q. So you went to UNM? A. I went to the University of New Mexico Law School. Q. When did you graduate? Q. Tell us about your experience as a lawyer, and specifically any experience you’ve had in litigating in the appellate courts. A. One thing that I have learned in the last 25 years, is that you never know where your career is going to take you. I started practicing with my father doing personal injury and wrongful death cases. And I want to say about a year or two into practicing, I happened upon international adoptions. A good friend of mine had handled international adoptions, and she had been offered a position with state government, and asked me whether I would consider taking over the practice? And I did that, and pretty soon I had this booming practice of international adoptions that went from Russia, to the former Yugoslavia, to China, to Vietnam, to Haiti, to Mexico. It was worldwide, and it was fascinating because I got to work with the U.S. State Department a lot on some of the immigration issues. So I never thought that I’d be doing international adoptions. And in the course of that, I had been asked to help several attorneys with their research. We moved to Albuquerque, so I was no longer working with my father and brother–the commute was too hard, we were starting a family. And so I worked with several attorneys where I did their research and writing. And that’s all I did. That’s what the plan was supposed to be, so that I could hang out with the kids more. Well, that lasted for a very short period of time, and before I knew it, I was handling cases again. And the most notable was I had a mediation before former Justice Bill Riordan, and he asked me what I was doing, and he asked me to help him with his research and writing. And so that’s when I started actually doing defense work, primarily for Risk Management, some New Mexico self-insurers, and some insurance defense, which I never imagined in a million years that I would ever do. And that was an eye-opening experience for me, and a very good experience, and so I moved into that area. And in my appellate work, the appeal that I am most proud of is the appellate work I did for the U.S. Supreme Court, and that was back in 2000. It was a Fourth Amendment issue that went through the federal courts. First I was proud of the fact that I got a motion for summary judgment granted by Judge Hansen, LeRoy Hansen, that went up on appeal all the way to the U.S. Supreme Court. And I was the author of the brief that went to the Supreme Court. Q. What was the name of the case? A. The plaintiff’s name was Dorothy Sanchez, versus, it was Highlands University. I represented the New Mexico State Police. I’m trying to remember the parties that were left, because there were several other parties that were knocked out for immunity, like the DAs. A couple of the other law enforcement agencies, the county agency, the city agency. So Dorothy Sanchez was the plaintiff. Q. How did it turn out? A. The writ was denied. The odds were in our favor anyway, it was the plaintiff who appealed to the Supreme Court. And that was an experience, because you had to go through a publisher, it had to be published in book form, so when you finalized that, that had to be your top, best work, when you sent it on to the publisher. So I think that was the harder part, was making sure you had all the copies, and everything in order, to get it to the Supreme Court by the deadline. Q. How did you become a district judge? A. Again, you never know where your career is going to take you. I had earned a good reputation for being very knowledgeable in the adoption area. And one of the judges was going to be retiring in the Children’s Court Division, and one of my now-colleagues invited me to come down. I never had any interest in being a judge, because I enjoyed the trial practice so much. And to humor him I said “Okay, I’ll go down, and I’ll watch.” And I went a couple of hours here, a couple of hours there. And I realized how interesting the work was, because not only as a juvenile judge do you work with the kids and families from the bench, you can also work with them on the other side of the bench. It’s a very unique position that a Children’s Court judge can be in. And it was just fascinating, because there was hope, there was a light at the end of the tunnel. So it piqued my interest, so I thought, you know, I don’t have any experience in juvenile delinquency, or abuse and neglect, I certainly know adoptions inside and out, but I’ll apply. And I got the position, and that’s how I ended up in Children’s Court. Q. Why did you decide to run for the Court of Appeals, and why should the voters elect you? A. Again, you never know where your career is going to take you, because I never had any interest in going on to the Court of Appeals. But it’s my experience in the last seven years — in juvenile justice, abuse and neglect, and adoptions — that has motivated me to move towards the Court of Appeals. And I’ve had remarks like that. Children’s Court can be referred to as “kiddie court,” or “juvy,” or the “catch and release program,” or the “hug-a-thug.” It’s just, it’s so demeaning, and these children have constitutional rights. And we deal with the same issues that the adult courts deal with. I deal with the Confrontation Clause, I deal with motions to suppress evidence, I’m dealing with Fourteenth Amendment substantive due process rights, procedural due process rights. It’s really serious stuff. And so, my goal has been to educate the public. They’re not all cute and cuddly. I wish they were, I really do. But they’re not. And so, nobody else on the Court of Appeals has this experience. I feel that I have the civil background, I have the criminal background, and now I bring this added experience to the Court. It’s kind of like having a law firm, you have people who do the civil work, you have people who may do some work in Indian country, you may have some people who do domestic relations. So, it’s expanding the experience that’s already on the Court of Appeals. Q. What, if anything, about the Court of Appeals do you think could be improved? A. Again, it would be adding this additional experience. Because we’ve got judges who have the civil background, the criminal background. And so, what do I bring to the table? I bring this unique experience in this area, in these areas, I should say. Q. Please describe the judicial philosophy that you will use as an appellate judge if you are elected. A. I always like this question. It’s such a philosophical question, you could go on, I think you could almost teach a law school class on it. What is it? You read about how [Chief] Justice Roberts calls it “balls and strikes.” And when I read that and I see that, to me, it’s such a cold and calculating approach. Because it’s not that simple. I believe that you need to consider what’s been presented before you, you do the research, and you make the decision because it is the appropriate decision, but also taking into consideration how is this going to affect the society that we live in today? I don’t think you decide it in a vacuum. You need to think long term. Q. What present or past justice on the U.S. Supreme Court do you most admire, and why? A. Of course, Sandra Day O’Connor. She’s an incredible woman from a personal standpoint and a professional standpoint. And she is very firm in what she believes in, and she has no excuses for what she’s done, she stands behind where she is. I read an article recently where they asked her about the decision, you know, the Bush decision, and she said “I still think that’s the right decision, even though you will hear that the Supreme Court sold out, what where they thinking?” But she did what she felt she needed to do. Q. Was that the Bush v. Gore decision? A. Yeah, yeah. And so, she’s been my hero. She’s stoic, she’s incredibly smart, she’s very personable, and for me, she humanized the Supreme Court. Q. Fair enough. What book, or books, have had the greatest influence on you, and why? A. I would say To Kill A Mockingbird. I have to say To Kill A Mockingbird. It’s just an incredibly well-written book, and it’s about the unpopular position, and standing your ground, and fighting for what you think is just, and defending the judicial system. Q. It’s a great book. A. It is, and a great movie. It’s a classic. Q. What do you do for enjoyment and relaxation in your spare time? A. I love the outdoors. I love the outdoors. That’s something else from my background, my mom was never a big camper, but my dad used to take us camping and fishing all the time up in the Pecos wilderness. And we loved to go camping, hiking, mountain biking, I love skiing, love to go skiing. So I love the outdoors, and running. And reading when I can. In the last year I haven’t done a whole lot of reading; I’ve done a lot of books on tape! Q. Red or green? And where do you like to eat it? A. I have to give you the classic legal response: “It depends.” Because I love my green chile enchiladas, but if I’m going to have eggs, I have to have red chile. The best chile, in case my mom gets on this blog, I have to say my mother’s chile is the best! Here in town, what would I say? I think Sadie’s, Sadie’s red. Q. That’s a very good choice. Well, judge, that’s all the questions I have. Q. Thank you for your time today, I know you’re busy, and I really appreciate it. A. Well, thank you, thank you for doing this. I think this is a great service. This entry was posted in Interview, New Mexico Court of Appeals and tagged Judge Monica Zamora, Judicial Candidates. Bookmark the permalink. I worked in the same office in Santa Fe where Monica had an office. I was working with Sarah Young and Monica’s office was right next door. I didn’t get to know her personally, but I saw her dedication to her work and her interaction with the other people in the office, and developed an admiration for her. I, too, graduated from Fort Lewis College with a degree in business. I also knew her dad, Matt Zamora, when I worked with Joseph Sommer in Santa Fe. Matt and Joe were great friends and I can’t tell you how much I admired Matt. He was one of the best lawyers I ever met. Good Luck, Monica. I know you will be a great addition to the Court. Thanks for your insight, Monty. I had never met Judge Zamora before interviewing her, and I’ve never appeared before her in court, but she came across as a sincere, hard-working person, and I’ve heard others say good things about her too.